In an emergency (Medical/Fire/Police), call 911 -- do not call the station or our dispatch directly. If you need an ambulance ,please also call 911. If you would like to speak to our administrative office, Chief of Department, or other members of the Command Staff, please call our station at (603) 654-2222. 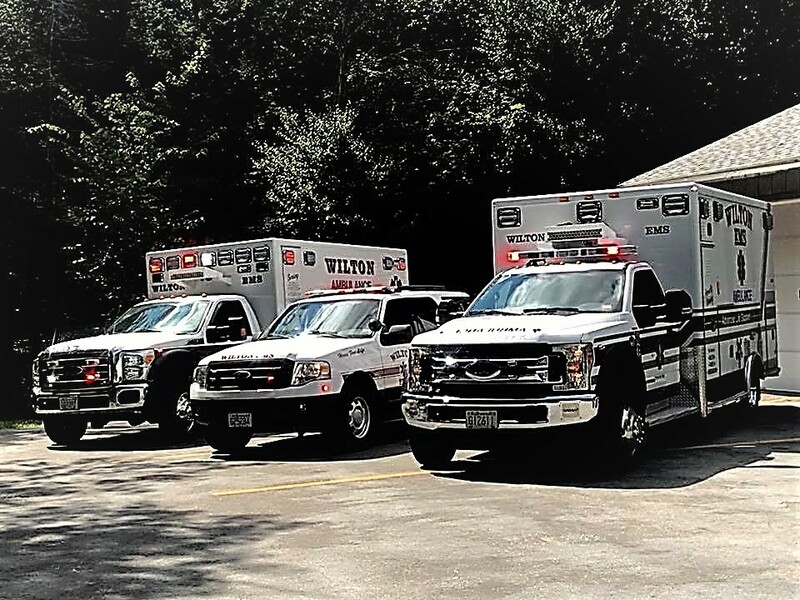 The Town of Wilton Ambulance & EMS Service provides primary emergency (911) ambulance coverage for the towns of Wilton, Lyndeborough, Temple and Greenfield NH, with a combined population of slightly under 10,000 people. We respond to over 500 emergency calls annually. We have two Ford F450 4x4 ambulances as well as a Ford Expedition as our rapid response unit. We currently have over 35 dedicated providers at different levels of licencing that make up our service. Our primary ambulance (30A-1) is staffed at the Paramedic level 24 hours per day, 365 days per year. This is the highest level of pre-hospital care available. With the addition of our rapid response unit to our fleet, we have been able to dramatically improve our response times to those in need. We, as your emergency ambulance service, are committed to providing the highest quality, most advanced pre-hospital care available. We have evolved from being a non-profit 501c3 ambulance association that was an all-volunteer, EMT Basic level ambulance service to a modern, progressive Municipal Emergency Medical Service. We do bill for our services -- this is done to help off set the tax burden for all the communities involved. If a resident should have a hardship and is unable to pay their bill, please contact the office and we will work with them to resolve the issue. Ambulance service will NEVER be denied to anyone, regardless of their ability to pay.